I am a gadget girl. I love kitchen stuff, with the proviso that it is actually useful and preferably also decorative. I can’t be doing with pointless bits of guff cluttering up my drawers and worktops if I already have a tool to do the job. You may have noticed the spiraliser hasn’t put in an appearance on these pages since I first bought it, although I was charmed by a recent comment from Nigella that she uses hers solely for making shoestring fries. Take that, clean eating brigade. But I was watching Yotam Ottolenghi on a location shoot on the television recently and he flourished an odd-looking, bright yellow lemon squeezer and said: ‘I take this everywhere I go’. Ooh, I thought, with my customary intellectual depth. As a massive Ottolenghi fan (I’ll stick my neck out and say I think he is the most creative and interesting cook of his generation) I was straight onto the internet. I found a version of the gizmo he was using and I have to say it’s pretty good. It’s less effort, even, than a regular citrus squeezer or reamer and easily used with one hand, although anyone with RSI might struggle. It’s stupidly good fun to use (I’m easily amused) though not quite as efficient as an electric press. Sometimes I find I have to tip it from side to side to get all the juice to fall into the bowl. Less faff though and it does the job. If you are a travelling TV cook like Ottolenghi I can imagine it’s a handy thing to chuck into your suitcase. I’ve already installed one in our flat in Spain as well as in my home kitchen. NB: This is not a sponsored post. I coughed up the full retail price for all of them. Several different companies manufacture squeezers of this type – have a look online and take your pick. 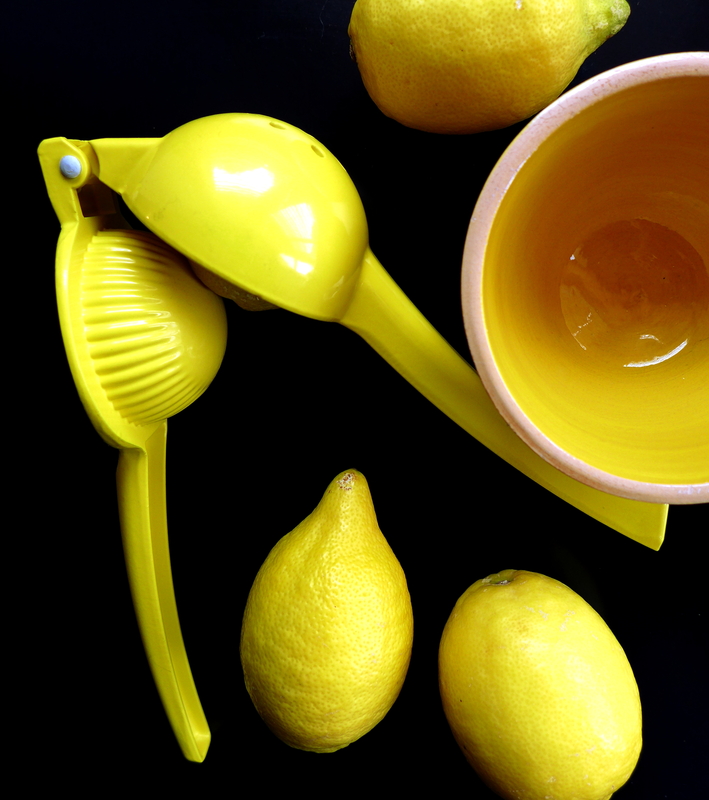 This entry was posted in Gadgets and gizmos and tagged kitchen gadgets, lemon squeezer, Yotam Ottolenghi by Linda Duffin. Bookmark the permalink. I used one of these in a rental beach house recently. It really is a great little gadget. I own this gadget as well. Very handy! I keep hearing this from foodie friends! Obviously it is a well-loved gizmo round the world. Oh really, do you like it? I had one, and it soon ended up in a charity shop, though I have to say it was not that make – perhaps mine was too early an example to be fine-tuned as it was a few years ago. Yes, it was easy and convenient, but it wasted half the juice, which being a tight-fisted Yorkshire lass, I then squeezed out the old-fashioned way. I do, but I agree it’s not quite as efficient as some. Depends on your grip, I think!